I am stubborn. There, I said it! This is nothing new to Art. For over two years he has been telling me to get a new phone. He's practically begged me to get rid of my beat up pink phone. Hmph! How can I get rid of my trusty phone? Not only does it tolerate all the falls it's had, but I also get great reception. It has never dropped a call. Sure reception has a lot to with the cellphone company, but I am sure it has something to do with the phone, too. Anyway, Art continued to put my pink, little flip phone down. Yes, it's chipped. Yes, it has some discoloration. Yes, it has my little sister's name in neon letters on the back! Yes, it looks like it was discontinued in 2003. So what, I say! Actually, I said that until about a week ago. Yes, internet, I gave in! I became a little trader. I traded my trusty phone for a flashy phone. A phone I bought a few years back and decided it was not for me. I pawned it off on Art and went back to my trusty pink, flip phone. Yet, every time I saw how awesomely cool Art looks while he does every single thing you can think of on that darn phone, I knew I had to have one. Since I'm stubborn, though, I kept saying no. It was excuse after excuse. No, too much money. No, too techie for me. No, AT&T has bad reception. No, don't fix what ain't broke. All those were my excuses until about a week ago. Out of nowhere we went into the Apple Store and I came out with a shiny iPhone. I am so happy Art FINALLY convinced me to get the iPhone. I love that I can check e-mails and reply to them on the go. I love not having to ask Art for his phone to check something on the internet. I love that I can talk to most of my family without wasting any minutes. So all in all, it was a good decision. In case you were wondering, my little sister, Melissa, got some stickers and pasted her nickname on the back. Teenagers. 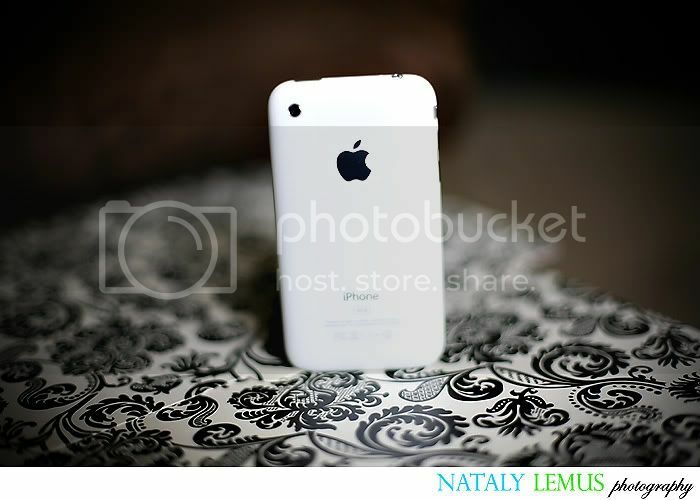 iphones are the BEST!!! Once you go iphone...you'll never go back! !